Did you know that people are spending 3 times longer watching live video versus ones that have already been recorded (Source: Social Media Today)? Facebook Live is creating massive engagement on social media. With the ability to connect with your audience in real-time, this platform offers amazing opportunities to build genuine relationships with your followers, give valuable content that appeals to their interest, and generate incredible exposure to your brand. 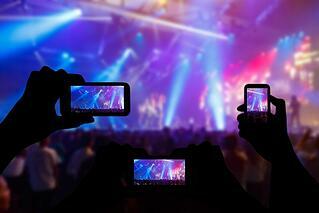 In fact, leveraging live-streaming video is one of the fastest ways to grow brand awareness. 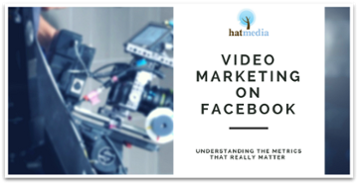 You have all the benefits of video marketing on your side coupled with the immediate gratification Facebook Live brings to your followers. It provides another channel for people to get to know, like and trust your company. You’ll bolster your inbound marketing strategy as you attract prospects to your content and create ways for them to stay connected with you. This is ultimately your goal…to produce engaging and inspiring content that resonates with your audience, capture and nurture them through your sales funnel, and create long-term clients that become raving fans of your brand! This is the winning inbound marketing way! Expand on your Facebook posts by taking your followers backstage to get the real scoop to what your brand is about by going live! Reveal the details of how an event comes together or how a new product is created. Provide a more in-depth coverage to truly bring your social media content to life! Private events that were once closed off to the public are now made accessible using Facebook Live. This alone can create new opportunities to humanise your brand and get followers to relate to you. Facebook Live is ideal for promoting your events and new product launches to increase awareness of your business. A great way to build your viewership is by holding a regular broadcast at the same day and time each week. This will set the expectation and your followers will be more likely to tune in when you maintain a consistent schedule. Whether you decide on the same time daily or weekly, Facebook Live will drive attention to your events and products, helping you to boost leads and sales. A cool way to get followers engaged in your brand is through Facebook contests. Social media contests work well in getting people talking about your company and participating in your content. It also creates excitement around your brand, breeding new followers, leads, and opportunities for sales. Prior to hosting a contest, be clear on the final goal you desire to achieve with this promo. Have a branded hashtag that followers can use for the contest entry. This helps bring more exposure to your brand while giving you a way to monitor entries using your social media management tool. Explain in your live broadcast the rules, how they can get involved and the rewards you’re giving away. Be sure to select prises that draws your audience to participate. Holding contests gives you a chance to collect excellent user-generated content of customers or prospects highlighting your brand and sharing their experiences. These positive reviews can later be used in your email content, blog articles, video marketing, or social media posts to gain trust from your audience. Because it’s real-time, Facebook Live promotes intimate engagement with your audience, allowing you to connect deeper and foster better relationships. Host Q&A sessions where followers can post their questions in the comments and receive immediate feedback. You can create killer content using this strategy. By hearing directly from your audience (or buyer personas) with their questions, they are providing you with precious future content ideas for your blog and/or website. Take note of these inquiries and organise them appropriately into your content schedule. It’s a winning tactic towards continually solving and piquing the interest of your audience while giving them exactly what they want! Use Facebook Live to highlight a new blog post you’ve just published. Broadcast a short video underlining the major details or simply expand on one topic within your post. Then share how viewers can access the full blog post by sharing the blog link in the comments of your video. You’ll drive traffic from your social media platform to your blog content, improving SEO ranking. You can also take this video and repurpose it into other forms of content. Upload it to YouTube, post it on your other social sites, convert it into an infographic, or send it to your email list. Each live video positions you to work smarter with your content strategy through repurposing as a means to greatly increase your reach online. Hosting Facebook Live regularly accumulates a nice treasury of content to be retrieved for future social media marketing or blogging campaigns. Although the shelf-life of a Facebook Live video is short, you can download them to store for later use. Imagine having all this extra content handy when you’re looking for value to share with your audience. One of the biggest challenges marketers have with their content strategy is maintaining consistency in their postings. Your live-streaming campaigns give you a major advantage of never running out of content to share…further keeping your followers engaged with your brand and positioning you as a reliable source in your industry. Facebook Live is a proven social media feature for marketers to boost brand awareness, foster relationships with their followers, and ultimately increase their bottom line. People crave transparency and authenticity with brands. Live-streaming positions you to appeal to today's consumers while staying current in your strategy. Choose 2-3 of the tactics mentioned and implement them in your inbound marketing. Discover which resonates best with your market and commit to adding more of that in your marketing.